Vietnamese footwear exports will enjoy zero tariff once the ASEAN Economic Community (AEC) is established in late 2015, allowing producers to expand their markets and access new materials. ASEAN represents a substantial footwear market for Viet Nam, as the region spent more than US$1.8 billion on footwear imports last year. 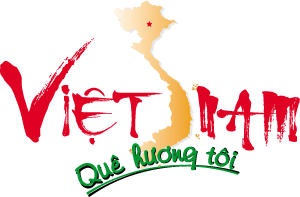 The establishment of the AEC in 2015 would offer Viet Nam a host of advantages. Workers classify shoes for export at Hai Phong Footwear Company. 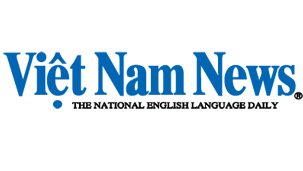 Viet Nam's footwear exports will be exempt from tariffs when the ASEAN Economic Community is established at the end of next year. Viet Nam has an abundant qualified and low-cost workforce, giving it an edge over Thailand, Indonesia and Malaysia, General Secretary of the Viet Nam Leather, Footwear and Handbag Association (LEFASO) Phan Thi Thanh Xuan said. AEC member states will have a better chance to develop new materials, reducing their reliance on imports and increasing the added value of the end products, she said. Xuan added that the countries are also expected to provide a steady supply of footwear and gain a solid foothold in major markets such as the United States, the European Union and Japan. However, Xuan pointed out that competition will intensify once zero tariffs are applied and that this trend was inevitable. At the moment, almost all AEC countries have set up technical barriers to protect their domestic products, she added. To strengthen the sector, Minister of Industry and Trade Vu Huy Hoang called upon the Viet Nam Textile and Garment Association and LEFASO to devise plans to develop support industries. According to industry insiders, domestic firms should reinvent themselves by improving the quality of their products and popularising their trademarks. They are also advised to prepare for the implementation of international agreements on issues of intellectual property, consumer protection, small and medium-sized enterprises, workforce quality and funding. The relevant bodies will update the business community on the opportunities and challenges ahead once they are fully integrated into the AEC. In the first eight months of this year, Viet Nam's footwear exports gained a year-on-year increase of 23.1 per cent to reach $6.69 billion. The key export markets for Vietnamese footwear products are the United States, Japan, Netherlands, Germany and Belgium.